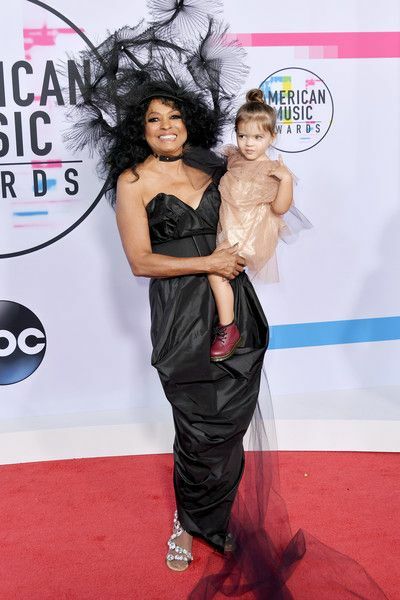 Our fave mommy-daughter duo just made history tonight as the first mother & daughter to both host the AMAs! But that's not the only reason tonight is a B-F-D. Ms. Ross is receiving the Lifetime Achievement Award for her 5 decades of slaying the music industry. And everybody's in tow for the huge accolade. 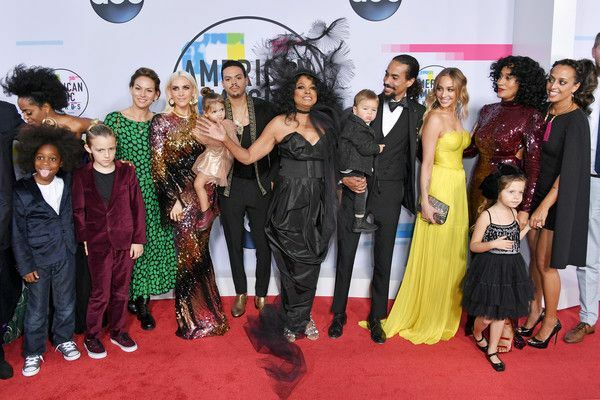 Host Tracee, 45, glammed up in a sparkly maroon curve hugging number, her sisters Chudney, 42, and Rhonda Ross Kendrick, 46, as well as brothers Ross Naess, 30 and Evan Ross, 29, were right there by mama Di's side. 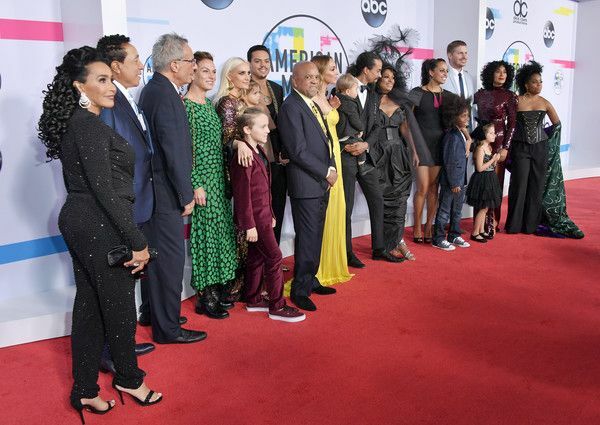 Evan's wife Ashlee Simpson Ross and their daughter Jagger Snow and all of Diana's grandkids posed it up on the carpet. Diana left no one out. 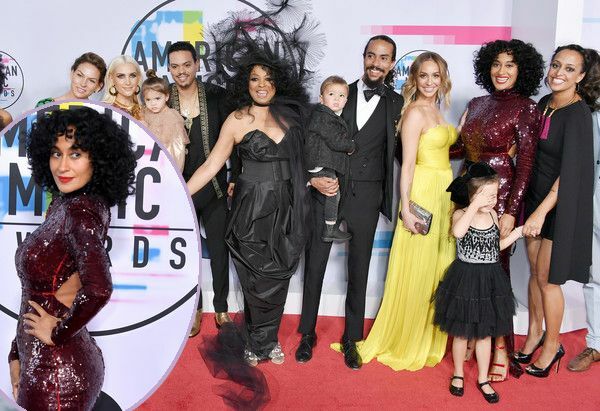 Her ex-husbands, including Motown founder Berry Gordy, and longtime friend Smokey Robinson are there as well. Fly grandma mode for Diana. Gotta love it! We're just gonna bow down right quick to this goddess. 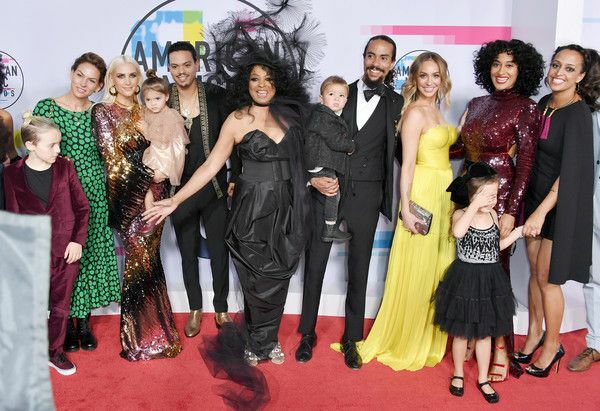 Serve, Tracee.